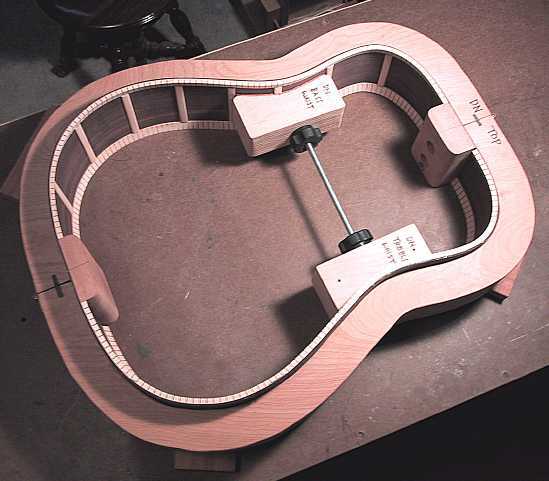 RIGHT: This guitar will have a bound ebony fingerboard. 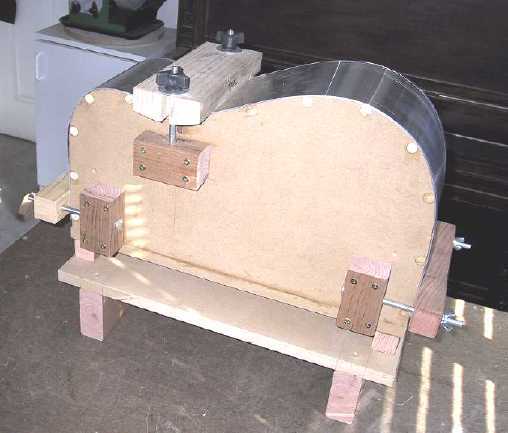 LEFT: Before I did anything else, I built a side bender for the dreadnought. 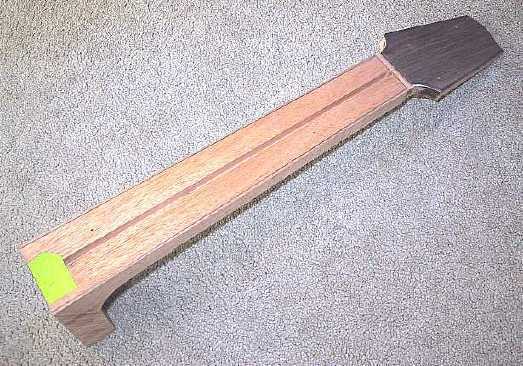 I hadn't built a dreadnought size guitar since 1998, when I was still bending sides with only a bending iron. 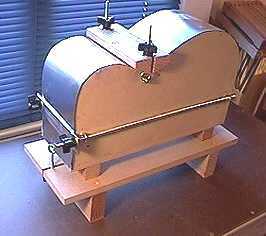 This one looks a little different from my previous bender, which I had built for the Grand Concert guitar. ABOVE: Here is the sideset, after I have bent the sides and glued in the mahogany head and tail blocks, basswood kerfing, and popsicle stick side braces. This will be a bolt-on neck, so in the headblock you can see the two bolt holes and the hole for the Hot Rod truss rod. 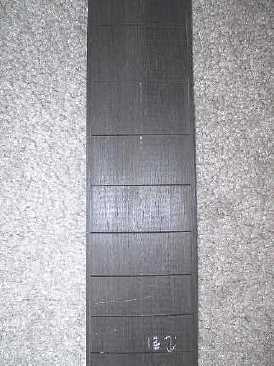 ABOVE: Here's the neck blank with the stacked heelblock. 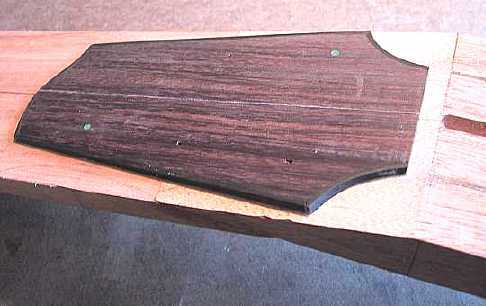 ABOVE: I bound the rosewood peghead veneer (some leftover rosewood from a previous guitar) with ebony strips, and then pinned the veneer to the neck blank at two tuner hole spots. 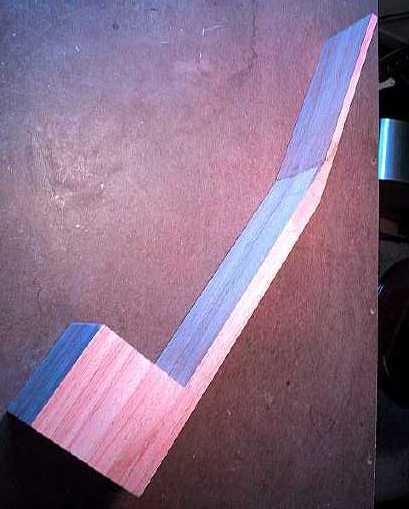 I used the veneer as the template to rout out the final peghead shape. Here's the neck after I have trimmed the sides and rough heel shape with the bandsaw.